Home > Educational Classroom Kits and Activities > Amino Acid Analysis by TLC Lab Activity. Amino Acid Analysis by TLC Lab Activity. Explore the Theory of Chromatography. Students learn the theory of chromatography; then separate two different unknown amino acid mixtures using thin layer chromatography (TLC) with amino acid standards run alongside the unknowns. Ninhydrin is used as a visualizing agent; then the rate of flow (Rf) values are calculated for each spot identified on the chromatograms. Students are challenged to predict the migration of the amino acids on the TLC after looking up the structures and pKa values of the four amino acid standards. The unknown components are identified by comparing the Rf values from the unknown amino acid mixtures to Rf data obtained from the four known amino acid standards. Designed for 24 students working in six groups of 4. 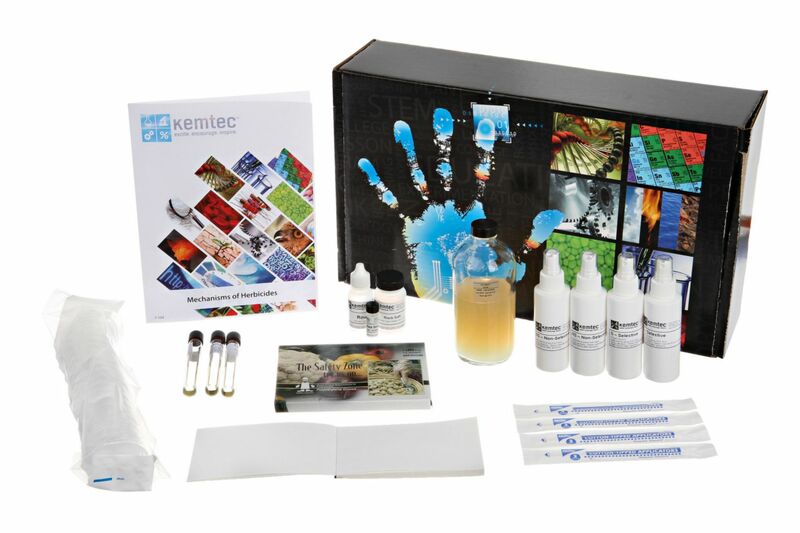 Ordering information: Kit includes Instructor Manual, Student Manual, Student Data Sheets, Amino Acid Standards, Unknown Amino Acid Mixture I, Unknown Amino Acid Mixture II, Silica Gel Strips, Chromatography Solvent, Toothpicks, Foil to cover Chromatography Chambers, Ninhydrin, Acetone, Spray Bottles. Hair Dryer, 600 mL beakers for chromatography chambers, clear plastic rulers, and standard laboratory supplies are required but not included.